This outdoor restaurant bar height table with is a beautiful addition to popular hotels, nightclubs, and coffee shops. The frame is made of cast aluminum for strong resistants against the outdoor elements. 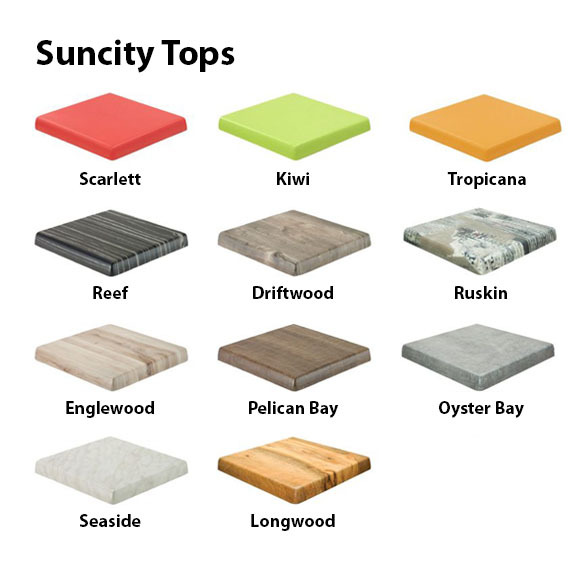 Featuring a Suncity table top that is sealed with a non-porous Melamine resin surface. The top comes in an array of vibrant colors that will compliment any commercial dining area, both indoor and out. 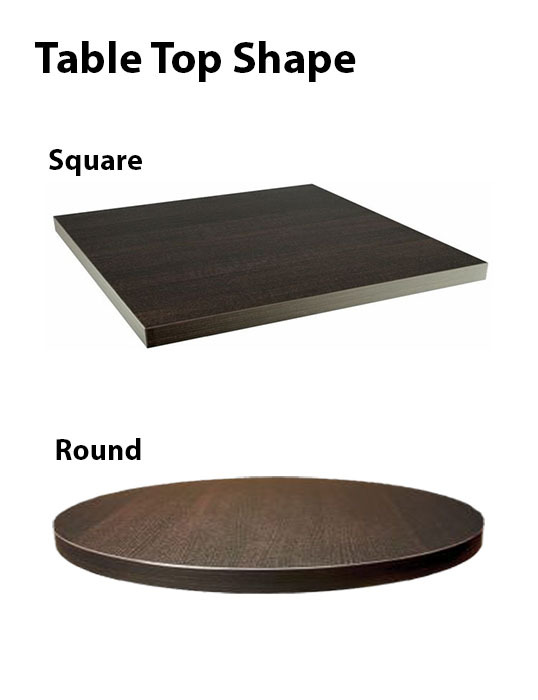 Choose between a round or square table top shape to best fit the theme of your establishment. This restaurant bar table is supported by a 1-year warranty. We are ready to provide all of your restaurant furniture supplies, so call us today for a fast quote! • Dimension: 24" x 24", 28" x 28", or 32" x 32"
Table Top Diameter 24" x 24", 28" x 28", 32" x 32", or 36" x 36"